Travel made easy and Hip courtesy of G. Spotting. I love doing my research every time I’m going on a trip, even if I’ve been to that place a thousand times. Through social media and different travel platforms, I like to look up the new, trendy, and exciting things happening at my desired destination as it actually hypes me up about my trip and gets me in THE BEST #vacationmode. But this summer all of my research became so much faster and easier after discovering G. Spotting and I wanted to share this delightful experience with you guys! If you already use G. Spotting, you know how great it is! But for those of us out there that didn’t know, this is a game changer. 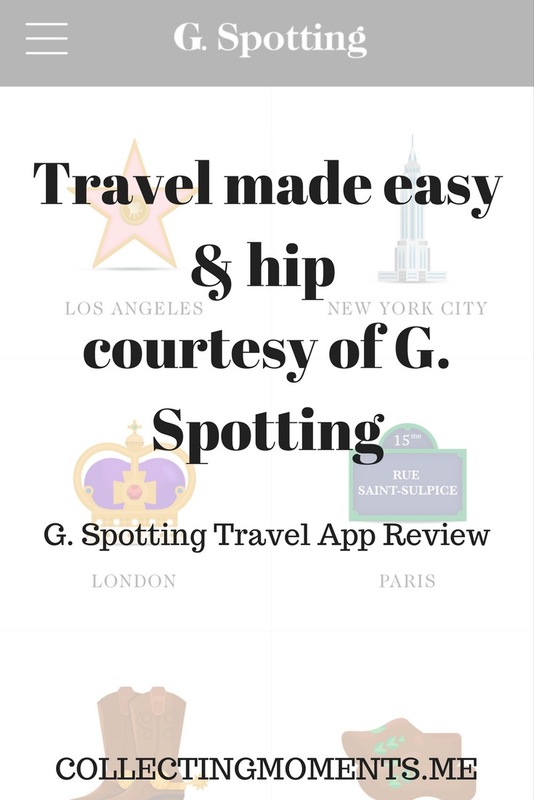 G. Spotting is a curated Travel App by Gwyneth Paltrow and her people. It’s free, extremely user-friendly, and a HUGE time saver if the city you’re traveling to is available on the app. How it works is that the moment you open it, you have the option of scrolling through the different city titles they have available. Once you find your desired destination, you click on it, and a series of curated travel guides will appear! Yep, curated guides for all likes and types. For instance, Isabella and I visited Paris in June, and when we were planning where to go, what to eat, and what to do, we would check out the different recommendations for each guide and choose what we liked best.. For Paris, they have the following curated guides so far: The Paris Foodie Guide, The Classic Paris Guide, The Paris Art & Architecture Guide, The Paris Kids Guide, The Paris Hipster Guide and Paris in August Guide. Basically what it does is that once you choose a guide, it suggests activities, museums, shops, restaurants, and bars curated appropriately. But it goes even further and actually lets you click on each recommendation to give you info about the place, its hours of operation, and even favorite drinks or items. It also shows the place in a map so you can see where it is in relation to your location!